Hi there. 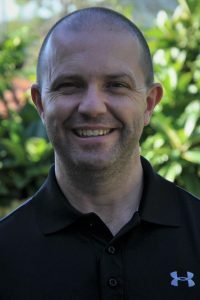 My name is Brad Corbett and I’m an Osteopath and CHEK trained Practitioner and Holistic Lifestyle Coach. I have been involved in the health and fitness industry for almost 20 years in a number of different areas including coaching, personal training, rehabilitation and osteopathy. As an Osteopath I work to restore balance to the body’s structure and functioning in order to facilitate repair and growth from injury and disease. As a CHEK practitioner I train people in all facets of health, fitness and lifestyle including exercise, nutrition, relaxation, personal growth and general wellbeing. I learnt how to strengthen my back using my core muscles to protect it from injury. A few years later I started developing shoulder pain, most likely from many years of competitive swimming. Again I went to see a wide range of practitioners but could never get any long term relief. At the time, I was at university studying sports coaching and administration when I heard about Osteopathy from a friend. I had never heard of Osteopathy before and he suggested that I come into the student clinic to have my shoulder pain investigated by the student Osteopaths. I was skeptical at first, I mean how would students know what to do when I had already been to many other practitioners. But I decided to give it a go. Within 3-4 treatments my shoulder pain started to resolve and in no time my shoulders improved immensely. I even managed to get back into competitive swimming. After completing my sports science degree I decided to study Osteopathy. Whilst practicing Osteopathy I have been studying the CHEK philosophy and am a qualified CHEK practitioner (level 2) and Holistic Lifestyle Coach (level 2). The CHEK philosophy compliments the osteopathic philosophy perfectly. They are both focused on balancing the bodies tissues, organs and systems to bring about a strong healthy and efficiently functioning body. This is something I incorporate into my practice when working with clients.